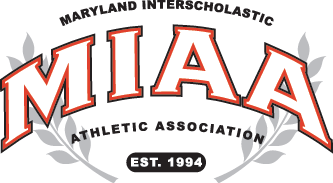 Senior co-captain Colin Rimel scored 12 points, including the game-winning jumper in the closing seconds to help Gerstell advance to the MIAA B Conference basketball final with a 57-55 semifinal decision over Indian Creek School in Anne Arundel County Thursday evening. Having gladly taken on the role as Gerstell Academy boys’ basketball team co-captain and its designated shooter, Colin Rimel found himself open on the baseline with just 16 seconds remaining in regulation in an MIAA B Conference semifinal game against Indian Creek on Thursday night in Crownsville. Not one to shirk his responsibility as a leader or shooter, the 6-foot senior guard rose to the occasion by gathering in a pass from freshman guard Ahmad Harrison and draining the shot that snapped a 55-55 tie to eventually give the 17th-ranked Falcons a hard-fought 57-55 victory and a berth in the B Conference final on Sunday (3:15 p.m.) at Harford Community College’s APGCU Arena against top-seeded and No. 14 Severn School. According to Gerstell coach Ben Thompson, Rimel has made a habit of hitting big shots this season. The drama was building after the Falcons fashioned a 51-42 advantage on a pair of free throws by freshman guard Karell Booker a minute into the final period. The Eagles (18-5) then put together a furious 11-2 run capped by successive big plays by Khilel Williams to deadlock the score with one minute, 36 seconds to go. His first bucket came on a put-back of his own miss while being fouled. After knocking down the ensuing free throw, Williams converted a pass inside on Indian Creek’s next possession to make it, 53-all. The teams then traded made free throws before Rimel’s heroics put the Falcons ahead. Still, the Eagles had a chance to tie or go ahead and Williams forced his way before losing possession in a wild scramble with the home crowd in an uproar. Indian Creek’s initial 11-2 run came after the opening whistle with Jordan Lewis, Malik McKinney, Williams and Khyion Washington leading the charge. Thompson said that the two-hour bus ride in heavy traffic that delayed the game for nearly a half hour was part of the reason for his team’s slow start. By the middle of the second quarter, Gerstell took the lead on a steal-and-finish by junior guard Anthony Carpenter. Although the Eagles came back from a six-point deficit to tie in the third quarter and closed a nine-point gap in the final frame, they could never grasp the lead again. GERSTELL ACADEMY: Khyle Washington 4, Anthony Carpenter 8, Brad Witt 11, Ahmad Harrison 7, Karell Booker 4, Tyler Tillery 11, Colin Rimel 12. TOTALS: 17 15-22 57. INDIAN CREEK: Khilel Williams 7, Malik McKinney 17, Jordan Lewis 11, Cole Washington 5, Khyion Washington 15. TOTALS: 17 13-21 65.